Don’t have enough time to volunteer abroad for a long period of time? No worries! We’re able to connect you with long-term and sustainable projects in places where your help is needed most. You won’t be part of a quick fix. Instead, you’ll be part of our ongoing efforts to meet specific goals in developing countries where extra support is critical. We work directly with local community members and organisations, ensuring that our work meets real needs. You'll still be part of this even if you're only volunteering for a short period on a Flexi Trip, Team Trip, or High School Special. We have a number of short term volunteer trips available for you to do. You can join from one to two-weeks and more. Even though you’re with us for a short time, we’ll provide you with the same hassle-free approach and 24/7 support from staff that we provide our longer-term volunteers. What can I do on a short-term volunteer trip? You can take part in a number of short-term overseas volunteering opportunities. We offer various trips that you can join throughout the year. Our Flexi Trips are exactly what the label says: flexible programmes tailored to your goals and availability. You can pick your own start and end dates, as these projects run throughout the year no matter how many volunteers we have. You’ll have some independence, but you’ll also have support from our in-country staff whenever you need it. It’s a great option for travellers over the age of 16. Help build houses, classrooms, playgrounds, and toilets on a Building Project in countries like Nepal, the Philippines, Jamaica, or Ghana. It’s a great choice if you’d like to see the physical results of your work. Travel to Mexico to save endangered sea turtles, help with reforestation efforts in the Amazon Rainforest, and more at our Conservation Projects around the world. Get some medical work experience and give back to local communities on a Public Health Project. 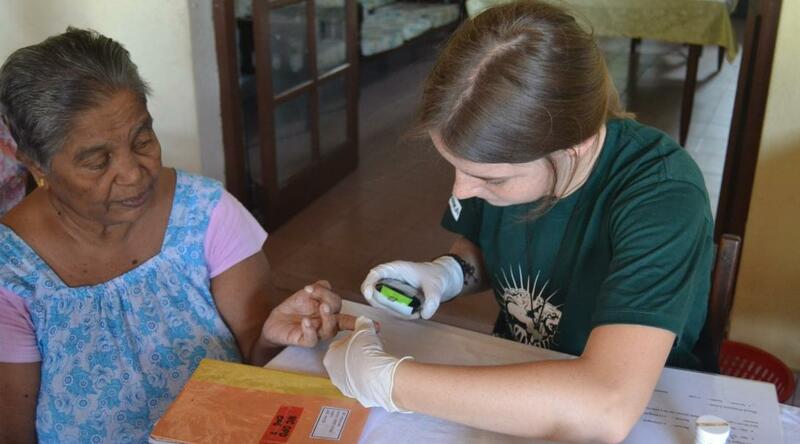 You’ll learn basic medical skills and use them during outreaches. These projects are a snapshot of what our volunteers do everyday around the world. Interested in learning more? You can check out more of our programmes here. If you prefer volunteering with a group, you can join one of our short-term trips over fixed dates. This is the perfect opportunity to team-up with passionate volunteers from around the world who’re also eager to make a difference. With a group, you’ll work toward achieving a goal together. If you’re between the ages of 15-18, we recommend you join our High School Specials. You can join for 2 or 4 weeks throughout the summer months and winter break. If you’re over 18 years old and looking to volunteer in a group on a short-term project, try our Team Trips abroad. We have our Grown-up Specials for volunteers over the age of 50 who prefer travelling with a group. Will I make a real difference on a short term volunteer trip? With many hands working towards the same goals, we can achieve great things. This is a longstanding viewpoint of ours. It means that even on a short volunteering trip, you can still make a difference and discover what you’re capable of. To ensure that we make a positive impact in the areas where we work, we have plans in place. We plan, monitor and evaluate all our projects in close consultation with local communities. We’re constantly doing rigorous impact assessments as standard practice. This means that you’re actively contributing to deserving projects while you learn and grow. As a short term volunteer abroad, you’ll also continue work that previous volunteers have started or completed. After you leave, more volunteers will follow to continue the work you did.